Are Nonprofit Chairs Roles Evolving? Nonprofits can strengthen their governance procedures by experimenting with new ideas that have been successfully implemented in the for-profit sector. 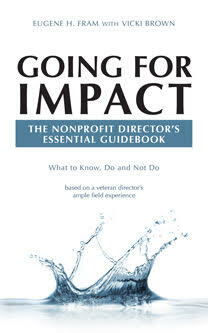 Whereas most nonprofit board chairs are independent directors (not part of management) and can be legally described as non-executive board chairs, some for-profits have two executive leaders: a board chair with management responsibilities and an elected independent “lead director.” The lead director is responsible for helping to focus the board on strategic planning and is empowered to call meetings of independent directors without the presence of management.